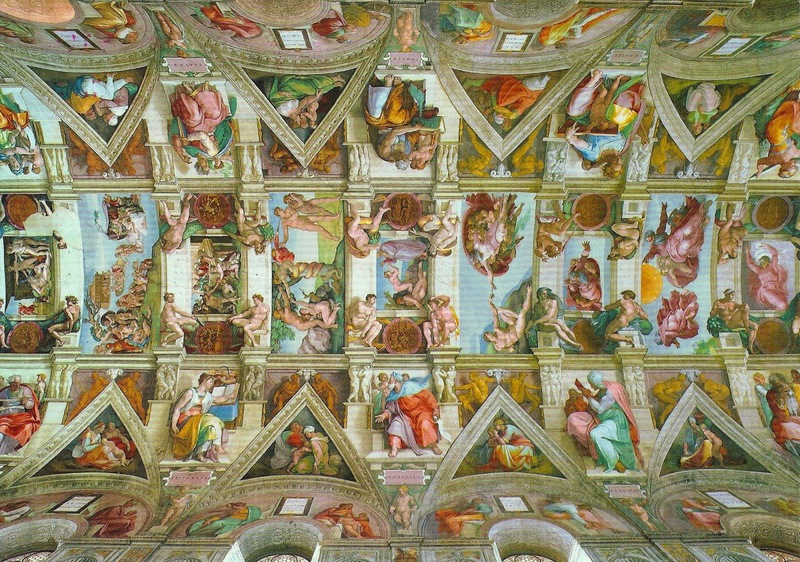 Europe-Vatican City This is the very famous Michelangelo painting on the ceiling of the Sistine Chapel. A World Heritage Site. 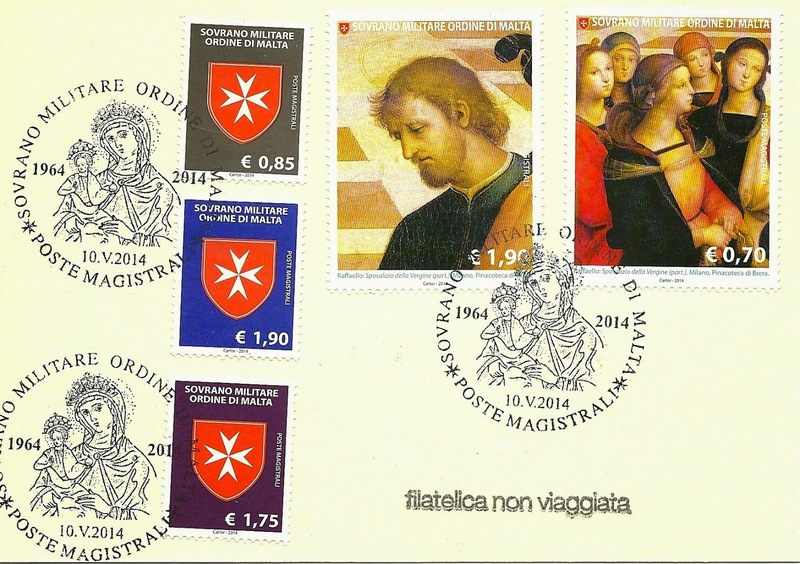 The Vatican City always have a very clear postmark. Europe-Vatican City I have an sort of attachment to this painting . When I got my bathroom repainted I got a painter to recreate this and so here is the Postcard to remind me. 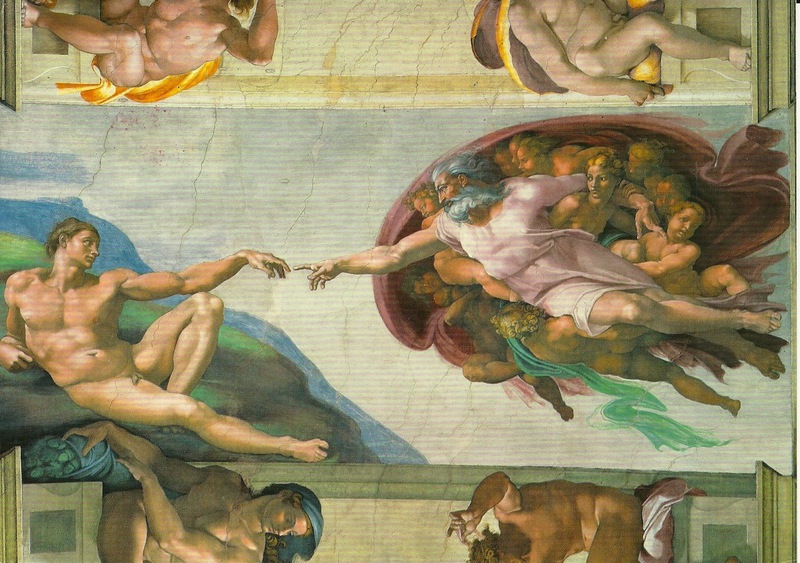 Also in the Sistine Chapel. On my couple of times to the Post office in Vatican city it has been quite busy especially sending parcels overseas. I guess it is cheaper than the Italian Post . 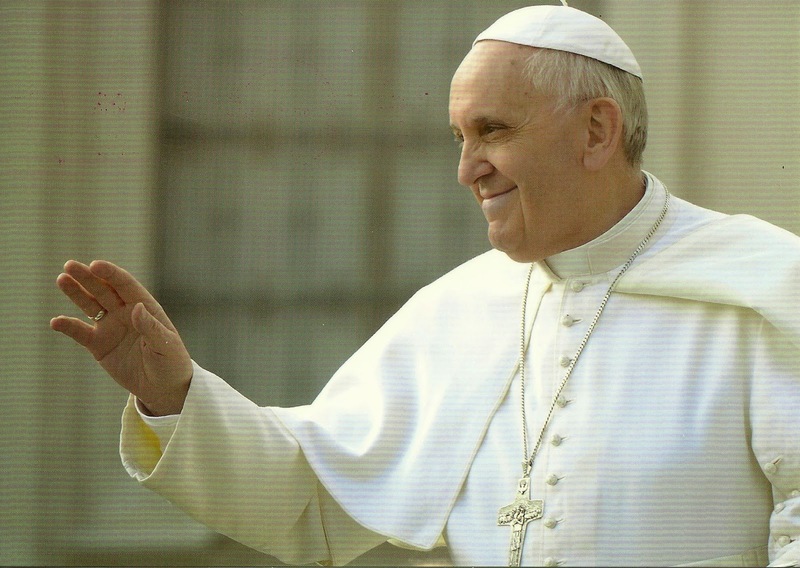 Europe-Vatican City Here is a beautiful postcard of Pope Francis. My trip to the Vatican this time was longer then previous. I really enjoyed the Vatican Museum and the Gardens. Larger then I had expected. Vatican City is a World Heritage Site. On the day I visited I could get to a Post office ok but not the Philatelic section. There was a large event due on in St.Peter's the next day and so it proved to difficult to try to explain to all the Guards that I wanted to buy stamps when in fact they pointed me to a nearer Vatican Post Office. Did not realise there was a number of Post offices, I think 3 ! Europe-Sovereign Order of Malta Another visit here to the building in Rome. This time there was a new museum just opened, so took the opportunity to view and learn about the Order. Very interesting. Unfortunately Ireland does not have an arrangement with the Post office here in Ireland, so I cannot post back home. Last time I sent to a friend in Italy who then had it sent on under cover. So was happy this time just to get the postcard cancelled with the stamps. Middle East-Egypt in Asia-Sinai Here in the centre you see St.Catherine's Monastery . It is well worth the visit and a World Heritage Site. Wished I could have spend more time for this visit , but the bus had to get back . 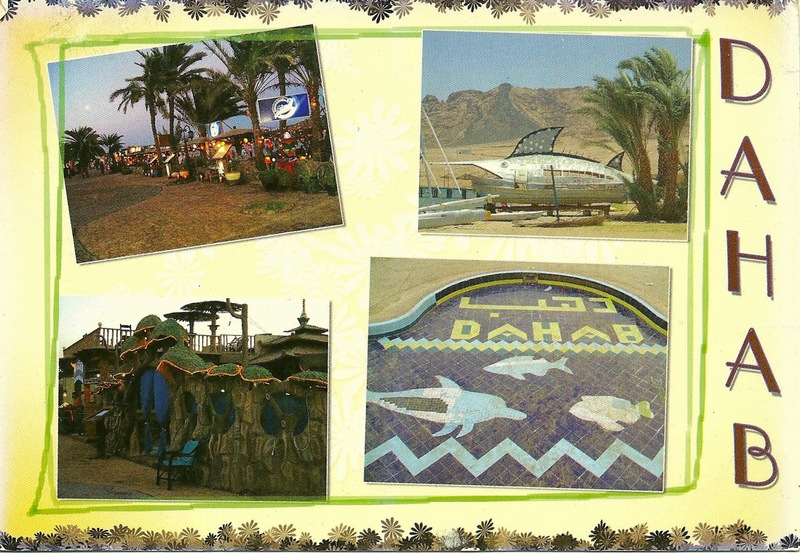 Interesting to see that even though this card was posted in Dahab in Sinai, it has a Cairo postmark. Middle East-Egypt in Asia-Dahab Stopped here on the way back to Sharm El Sheikh for Lunch, over looking the sea. I just remember nearly getting into trouble for taking a photo of the local Post Office.. Happened to me three times this year.. Better be more careful. The Post offices had all the same stamps on sale.. No choice. Luckily I had brought some stamps with me , that were purchased in shops in Sharm El Sheikh. The Post office was closed for no apparent reason. So this card went in the mail box outside the post office. 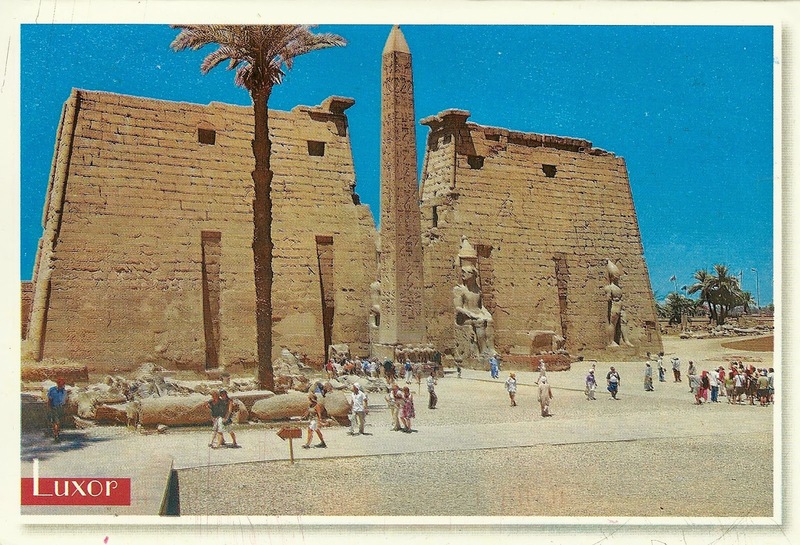 Africa-Egypt-Luxor This is a fantastic place to visit and should be on everyones list of must dooooos.. lol.. This postcard does not do it justice. The condition of the area is pretty amazing bearing in mind how old it is. A World Heritage Site. 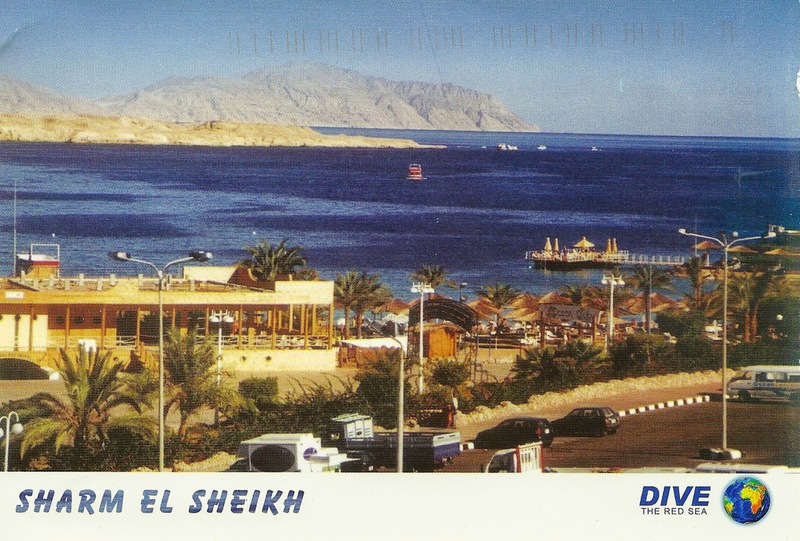 Middle East-Egypt in Asia-Sharm el Sheikh Back to regular postcards again. I have and still am very busy with work so still have much catching up to do. 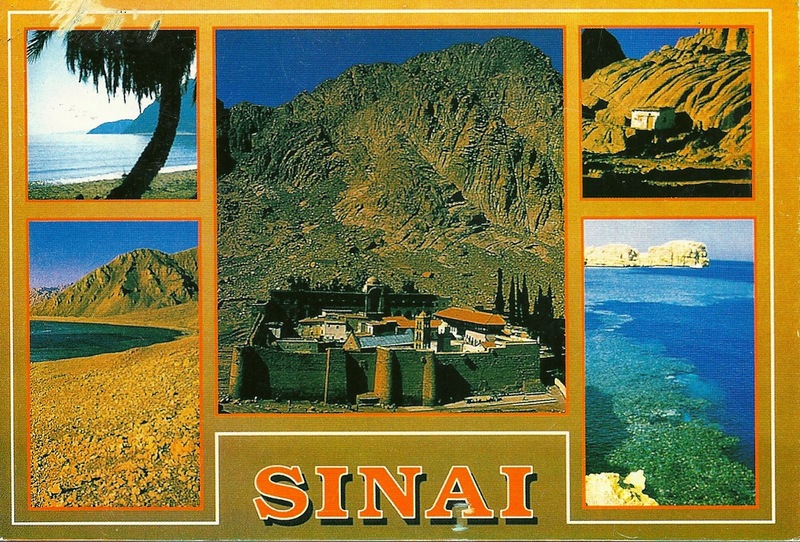 Sinai was off limits for Irish tourists as far as a our government was concerned when I visited. But as you all know that would not put me off. This was a holiday in the pure sense of the word. Relaxing and just enjoying the sun. So great to do that. Sharm el Shikh is not full of charm and one does not come here to see the sights. Still the pools were nice as was the food. Did manage to see those wonderful fish in the sea here. I had a significant row with the taxi driver who did not know where the Post office was. He said he did but he did not.. Post offices are not exactly on everyone's list of places to visit, but they are certainly in my case. Found the Post office, but no selection of stamps . I was surprised as this is a major tourist area. I guess most tourists mail their cards from the Hotels. My final set of photos from Iran feature Esfahan with one exception. This is from a tourist point of view the nicest city to visit in Iran. The main square is Naghsh e Jahan . It is a beautiful styled area as you can see here. The bazar is nearby and some beautiful mosques. The photo 2nd from the end is in fact from Tehran and one of the Shah's former palaces. You can see the boots of the previous Shah who was a very tall man and is a favourite place to take photos. This is the usual gang that go on my trips and includes Bill from Seattle who was amazed at the welcome he got in Iran. The top photos feature the Post office in Yazd. The Post offices here sell Definitive stamps only which currently feature the Persian alphabet. When I got to Shiraz I was able to find a philatelic office with difficulty. I was ushered in upstairs who were very friendly and happy to assist me with finding interesting stamps of Iran for use on the postcards. Iran and Kenya are simular in that they impose a tax of 18% on stamps, so you dont pay the face value. The make matters more complicated in Iran they talk in "Toumans" which is 10 to the value of the local Rial . So when checking you need to confirm what the Currency they are using. There is very little credit card international credit card usage here, so loads of cash required. In all my Post office visits they insisted in using the alphabet stamps even when I placed the stamps I had bought in the philatelic section. Again not the first time I have had to deal with that. So in most cases they have more stamps then needed. In one post Office in Esfahan they stamped my cards with a electronic meter. Once I explained I wanted real stamps , they said I wanted "old technology" . I found a friendly guy in the philatelic section who gave me a great selection of stamps . So I would say it is quite rare to find special stamps on Iranian Mail. Some more photos of Yazd which is a World Heritage site as is Persepolis . Finally the doorman from the hotel. The Moustache looked liked something out of a movie, but it was sure real.